Michelle Corey, C.N.W.C., F.M.P., is a Functional Medical Practitioner, Nutritionist and Author. She studied holistic nutrition at Clayton College of Natural Health and completed a comprehensive 2-year practical program at Academy of Functional Medicine and Genomics. Michelle is an advisor to the Academy of Functional Medicine and Genomics and the Functional Medical University, and a member of the Institute of Functional Medicine and the National Association of Healthcare Advocacy Consultants. 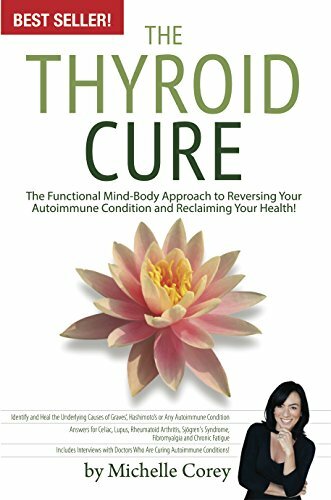 In her groundbreaking book The Thyroid Cure, The Functional Mind-Body Approach to Reversing Your Autoimmune Condition and Reclaiming Your Health, (Vibrant Way Press) Michelle presents readers with the keys to reversing the full spectrum of autoimmune conditions such as Hashimoto’s, Graves’ Disease, Lupus, Celiac, Rheumatoid Arthritis, Fibromyalgia and Chronic Fatigue. Michelle offers Total Recovery Programs for patients who suffer from complex autoimmune and inflammatory conditions. These Functional Mind-Body programs are designed to guide people to recover wellness by balancing the core systems of the body through optimizing nutrition and detoxification, practices to release stress, let go of the past, and connect more fully to a life of spirit. Is Your Autoimmune Healing Program Working?